Mida d'aquesta previsualització: 712 × 600 píxels. Altres resolucions: 285 × 240 píxels | 570 × 480 píxels | 912 × 768 píxels | 1.215 × 1.024 píxels | 2.160 × 1.820 píxels. 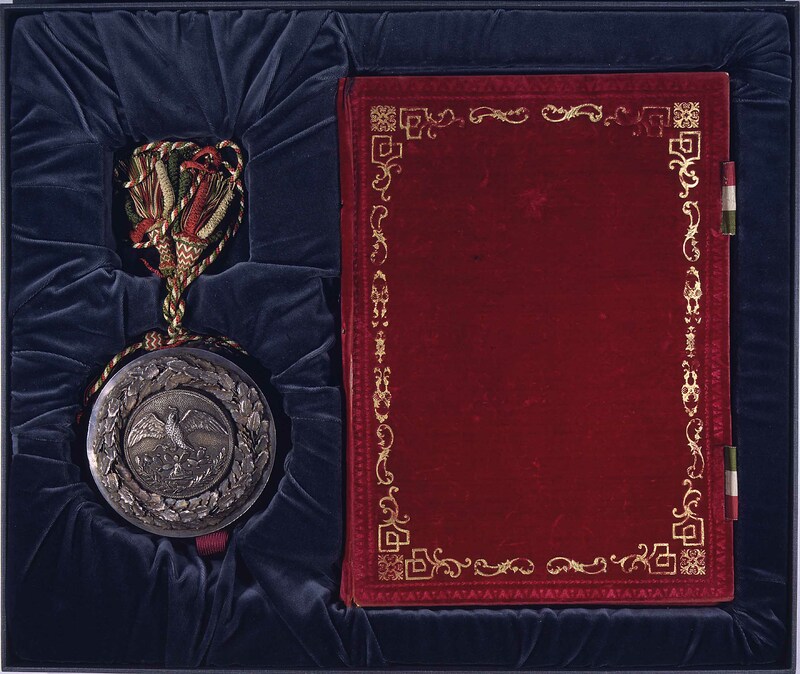 Treaty of Guadalupe Hidalgo, Exchange Copy, cover. Treaty ending USA-Mexico War in 1848 and transfering large amount of territory from Mexico to USA. This media is available in the holdings of the National Archives and Records Administration, cataloged under the National Archives Identifier (NAID) 299809.